Update: I have done a lot of stories about Katelyn. Please go to the search button on top of the page and type in Katelyn Markham to read all the stories. Retired Butler County Sheriff’s cold case detective, Frank Smith who operates Ohio Polygraph in Hamilton, was put on the Markham case. Smith, known for solving cases decades old, has been commissioned by the family. He said he was working with both Fairfield and Indiana detectives. On Tuesday, April 13, 2013, Franklin County Coroner Wanda Lee said that she was unable to determine how Markham died, but ruled her death a homicide. There has been no arrests made in her case. I have done several stories on Katelyn, so please go to the search area above and type in Katelyn Markham to read all the articles. 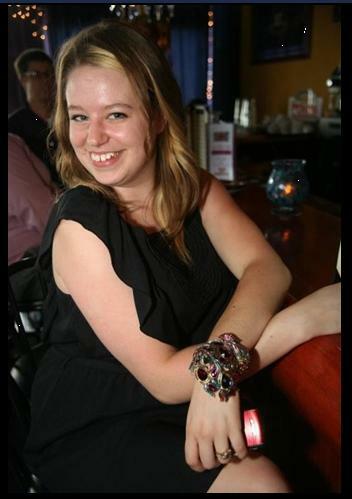 UPDATE: 4/10/13 Skeletal remains found in Cedar Grove, Indiana have been determined to belong to Katelyn Markham. Shockingly, Katelyn’s skull was found in a bag. There are many conflicting reports as to what kind of bag, whether it was plastic, black trash bag or Kroger Trash Bag. 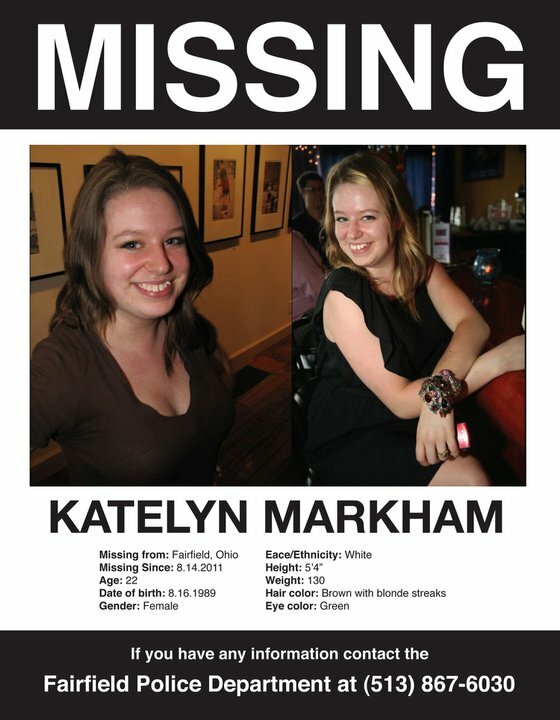 Previous story: Authorities are asking for help in finding missing Katelyn Markham, 22, from Fairfield, Ohio. She was suppose to report to work on Sunday at David Bridal’s at the Tri-County Mall, but she never showed up. She has not answered her cell phone or text messages. Katelyn lived in a townhouse off Dorshire Drive in Fairfield and when her family came to look for her, they said the home looked untouched. They found her purse and keys in the home, and her dog locked in the bedroom. Katelyn has been engaged to her finance, John Carter, for a year. They have known each other for six years and planned to get married in two years. Katelyn is to graduate from the Art Institute of Cincinnati in September. Markham is 5 feet 3 inches tall and weighs 130 pounds. She has brown hair with blond streaks and green eyes. If you have any information, please call the Fairfield police at 513-639-7820.